If you are a consumer that craves simplicity, this article is for you. Perhaps, you do not want to deal with another front load washer. Laundry is one of the most varied categories. Researching sizes, cycles, and features can be an overwhelming experience. If you are seriously looking for a basic, reliable machine manufactured locally, I would recommend considering Maytag’s new Commercial Laundry Line. First, you should prepare for whatever laundry you do buy because the dimensions are different from laundry you bought years ago. The best thing you can do is make sure that the new laundry you are planning to buy will fit into your home and that the existing laundry can be hauled away. New England homes come in unique shapes and sizes, especially in Boston. If you are questioning the fit of a new machine, Yale offers a complimentary site check prior to delivery. Dryers are either gas or electric powered. You need to make sure you order laundry for the correct fuel-type. Gas is 110 volts. Figure out which cycles are important to you, or could be important to you. Most machines today have at least a “normal wash”, “cold only”, “delicates” and “rinse and spin”. If you are unsure which features are useful for you, think about how you do laundry, what types of items you are washing and think about when you do your laundry. Although this question seems loaded, it does not need to be a complicated question. Figure out what you value. Everyone is different here. Some people are all about aesthetics, others about efficiency, and others just to press a button and have the machine wash clothes. There is an option out there for everyone. How is your machine used and how long do you plan on using your machine? If you are powering through a lot of laundry, or if you are merely frustrated with having to buy new laundry every 7 years, then it might be time to consider a machine with commercial components. So Why Consider the Maytag Commercial Models? In this the appliance industry, we say time-and-time-again, things are not made the way they used to be. There are few products that are designed with the intent to last. Buying products with simple features and sturdy components give you a better chance of prolonging the life of your appliance. This product is solid with a stainless drum. It moves easily, so you cannot overload it. One of the biggest complaints about laundry is the lack of simplicity. The Maytag Commercial series offers customization where necessary, but leaves out the bells and whistles. Today you may value a “deep water wash,” a “quick cycle,” and a good warranty over specialty cycles like “pet beds,” “athletic wear,” and “stuffed animals” (just to name a few of the many cycle options out there). Excellent Warranty: The Maytag Commercial Series has a 5-year full warranty for residential use, one of the best appliance warranties in the industry. Yale does the service on these machines too for Eastern MA, Southern NH, and RI, so you have the peace of mind that you are covered for 5 years. It’s also a relatively easy machine to service. Easy Install: The Maytag Commercial Laundry is only 26’’ deep making it a better fit than most into shallow spaces. 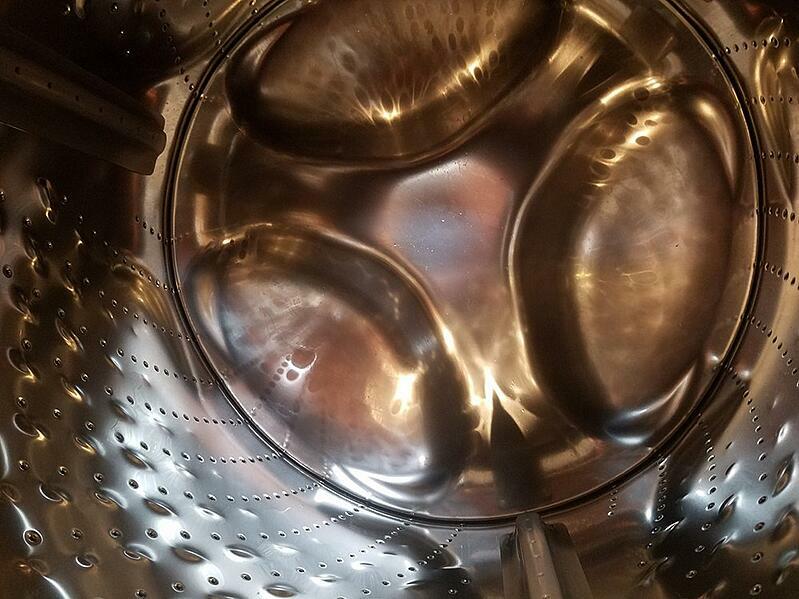 (The industry average depth of a full-size washer today is about 31’’) you still need to account for about 5’’ behind the machine for hoses and venting. The only downside to this Maytag is the $849 price. You can buy two decent Whirlpool washers at this price. However, if you are looking for laundry that is made locally with simple features and a solid warranty, you should really look at the Maytag Commercial Laundry options. 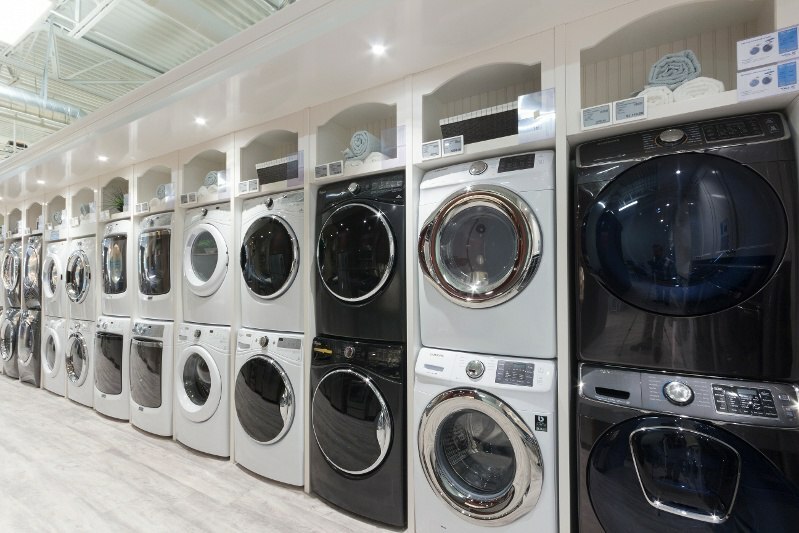 For more information about buying new laundry, check out our buying guide. Need some more information on hybrid washers, top loads, and front loads? Read the Yale Washer Buying Guide with a full explanation of the best washer brands, features and models. Well over 250,000 people have read a Yale Guide.